Garnier Nutrisse Ultra Color shade V2, “Dark Intense Violet” is part of our Trend collection. Even the darkest brunettes can achieve ultra bold violet reflects for high-impact hair color in just one step. 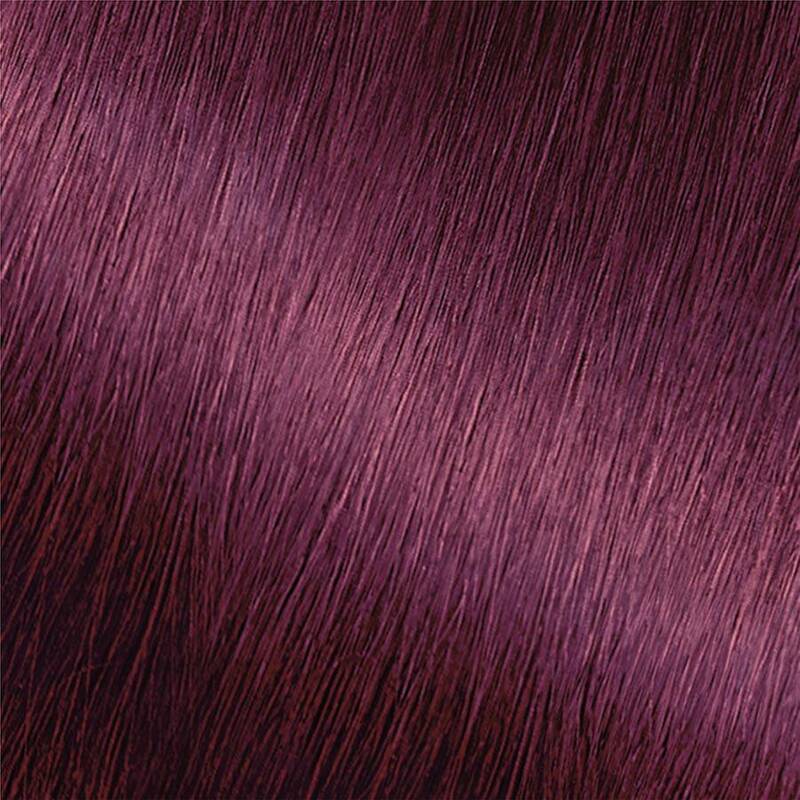 Dark Intense Violet is best for anyone with natural hair between Light Brown and Darkest Brown. *For women with currently color treated hair, there are special considerations for the color result you can achieve. Because of this, we do not recommend shade V2 for hair that has been previously colored shade 30 “Darkest Brown,” or darker, is bleached, highlighted, or predominantly gray. For more help, use our Shade Selector Tool to find the perfect shade for you! Rated 4 out of 5 by michelles54 from This isn't my favorite brand to dye my hair with, especially when it comes to box dyes. But i really really loved the color and it made my hair extremely soft and silky afterwards. I did get a ton of compliments on it too. The only thing I didn't like was that i felt like it lost vibrancy in color after the first wash and i was wanting something a little more permanent. Rated 5 out of 5 by jenniferp651e from I love the Nutrisse line of hair dye . It is the brand I have used for permanent color, and it keeps my hair soft and shiny. The conditioner is fantastic, and the color stays for a long time. I would buy it again! Rated 5 out of 5 by shawnjsmommy from This hair color and this color, in particular, is great and very very beautiful! The hair color is a creme and it nourishes hair and the oil you add to it helps nourish and soften hair. The conditioner helps nourish your hair and helps make sure the color doesn't fade. My hair feels healthier after i dye it then before it was dyed. I love this hair dye and the color is my current favorite! Rated 5 out of 5 by iramm0530 from I have curly, puffy and frizzy hairs. I try to dye my hair once in two months. I love garnier because it does not damage my hair as others do. Rated 4 out of 5 by dominiquec3 from I loved the color and moisture that it left my hair with. The color was very vibrant and last for quite a while.I would most definitely but this product again as Garnier is one of my favorite brands.